The revenue generated by the three riverboat casino in Baton Rouge continued its year-to-year decline in March. Their most recent reports for March 2019 showed a 13.8% drop in the collective revenue of the aforementioned casinos in comparison to their results for the same period a year ago. 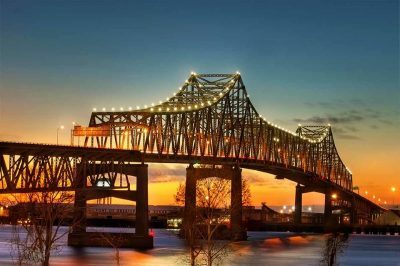 As a matter of fact, the overall casino winnings in the state of Louisiana suffered a decline last month from a year ago. On the contrary, the gambling market in New Orleans saw a 5.6% increase. According to figures which were officially unveiled by the Louisiana Gaming Control Board at the beginning of the week, the 15 riverboat casinos, four racinos and one land-based casino in the state accounted for overall March winnings estimated to $246.3 million. The result represented a 2.5% decline from the $252.6 million generated in March 2018. The state’s Gaming Control Board also revealed that Louisiana’s video poker revenue rose by 3.8% in the same period from $58.6 million last year to $60.8 million in March 2019. The casino winning in Baton Rouge fell from $27.4 million to $23.6 million in the year-on-year period, with the continuous decline in the sector proceeding since August 2017. 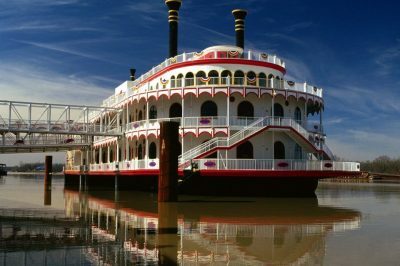 The oldest riverboat casino in the city – The Belle of Baton Rouge – generated a massive decline of 39.3% to $3.2 million. The Hollywood Casino suffered a 7.1% decline from almost $5.5 million to $4.6 million in winnings. The third riverboat casino in the city – L’Auberge Baton Rouge – fell by 7.8% to $14.7 million. The Louisiana Gaming Control Board also revealed that New Orleans’ gambling revenue was up 5.6%, reaching $59.9 million in March 2019. The biggest increase was registered that the Harrah’s casino, as it posted an 8% increase from $26.8 million in March 2018 to almost $29 million in March 2019. The three riverboat casinos saw a 3.7% increase in their overall revenue which rose from $25.4 million to $26.3 million in March 2019. A 5% increase to $11.7 million was registered by the Boomtown New Orleans, while the Amelia Belle experienced a 4.5% increase to $4.4 million. The third casino – Treasure Chest – saw a 2% winnings increase from $10.1 million to $10.3 million. The Fair Grounds racetrack slots rose slightly by 1.8% from $4.5 million in March 2018 to $4.6 million in 2019. Other markets across the state of Louisiana also saw a slight increase in their gambling revenue. Acadiana, which is represented by the Evangeline Downs racetrack, rose by 1.8% to $4.6 million in the year-on-year. The city which has the most riverboat casinos of all markets across the state, along with the Harrah’s Louisiana Downs racetrack – Shreveport-Bossier City – revealed a 0.7% increase in its gambling revenue to $67.8 million.